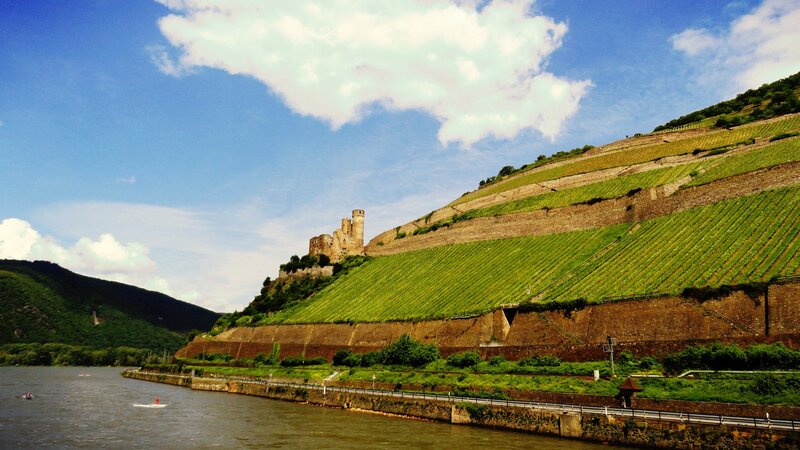 The Rheingau is located at the 50th parallel north and is among the most northern European wine-growing regions. 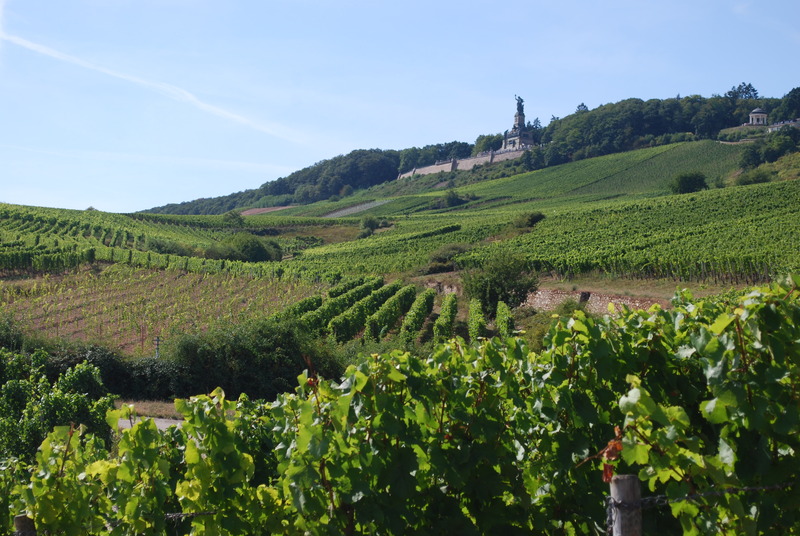 Grapes are cultivated on an area of nearly 3200 ha, so the Rheingau is one of the smaller, but also one of the most famous growing areas for Riesling worldwide. 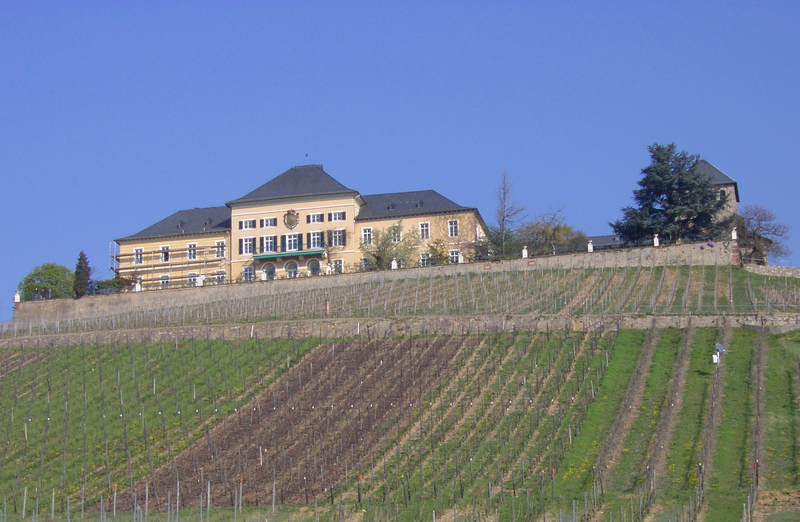 Additionally, in the vicinity of the village Assmannshausen, Pinot noir wines of excellent quality are produced. 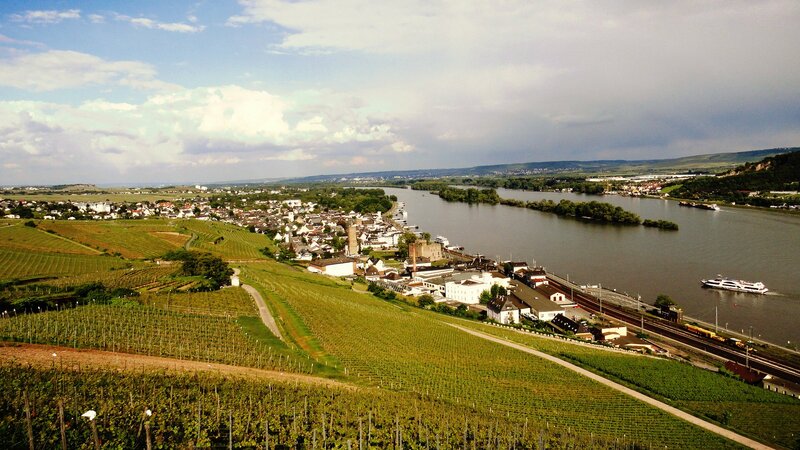 As in most of the traditional wine-growing areas, the character of Rheingau wines is a result of the harmony between climate, soils, cultivation practices and grapevine varieties. But the sustainability of this harmonious state, and the typical regional characters of the wines produced, is being challenged by climate change. For instance, the risk of grape berries rotting during maturation has increased, due to warmer and wetter ripening conditions. 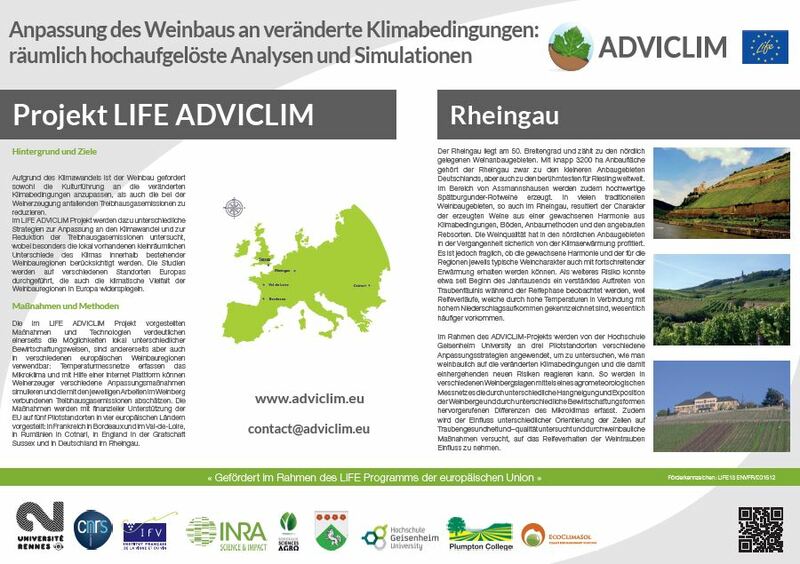 The Hochschule Geisenheim University, in the framework of the ADVICLIM project, is applying different climate change adaptation strategies to pilot sites. 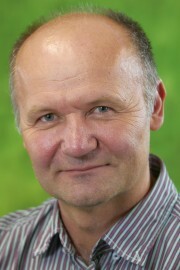 Differences in the microclimate are recorded within a steeply-sloping growing area and potential strategies for controlling grape berry ripening are being assessed.